While sometimes presenting as aloof or self-focused, INTPs often attract potential mates through their Extraverted Intuition (Ne) and Extraverted Feeling (Fe). These functions contribute to their wittiness, personability, and sincerity, conferring a childlike innocence that others find refreshing. INTPs are often kind and considerate, wanting everyone to feel included and treated with respect (Fe). They are slow to speak negatively of others, able to forgive and forget what other types might find offensive. Such qualities, combined with their intelligence and ambitiousness, can be of great appeal to prospective partners. Should INTPs Even Bother with Relationships? Because of their Fe inferior, the INTP can enjoy being around people. Even if not directly engaging with them, they can feel enlivened by the background presence of others (assuming they are not perceived as obnoxious or intrusive). However, because of their dominant function’s penchant for inner control and autonomy (Ti), INTPs can be leery of making Fe commitments, which carry the potential to shackle their independence. The fact that INTPs can enjoy working independently for long periods of time may also discourage them from complicating their lives with relationships. Despite this relative independence, there invariably comes a time when their inferior function (Fe) beckons them to be around people. This may involve feelings of emptiness or loneliness, alerting them to the fact that their independent projects may, in and of themselves, be insufficient for achieving the deeper sense of wholeness and contentment they desire. This tug-of-war between their Ti and Fe is a central and recurrent dilemma for INTPs. At some level, INTPs feel like they need people and want an intimate relationship, while on another, they are afraid of losing themselves and their cherished freedom if they commit. In many cases, INTPs’ fears are justified. Most partners are reluctant to grant them the degree of freedom and autonomy they desire, leading them to try to control the INTP. This of course, prompts the INTP to rebel, which causes the relationship to take a turn for the worse. But because Fe is a legitimate part of INTPs’ functional stack, we should not be too quick to dismiss the potential value of intimate relationships for INTPs. As the final function in their stack, understanding and integrating their Fe is critical to their self-actualization. With that said, sustainable and satisfying romantic relationships can be hard to come by for INTPs, requiring that both they and their partners bring significant wisdom and maturity to the relationship. For this reason, among others, most INTPs are better off abstaining from any long-term commitments until later in their development. Since INTPs may lack intentionality when it comes to maintaining intimate friendships, their romantic partner often serves as their closest friend, confidant, and source of support. Because they are Intuitives, INTPs tend to be more particular about their choice of partner than ISTPs are. While the ISTP seeks novelty in the material realm (Se), the INTP seeks more abstract sorts of novelty (Ne). Hence, INTPs look for partners who are intelligent, creative, and interested in personal growth. INTPs may struggle to maintain interest in those lacking sufficient intelligence, open-mindedness, or interests in intellectual or psychospiritual explorations. INTPs are especially drawn to those who have knowledge or interests in their own specialty area, making way for a sort of co-exploration of truth. 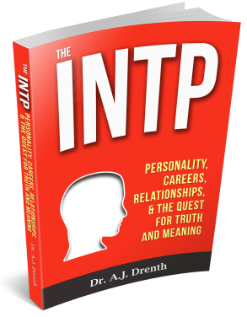 INTPs enjoy discussing their interest areas and seek a partner who can stay apace with them in theoretical conversations. For these reasons, INTPs are typically better matched with another Intuitive type. Since INTPs tend to view themselves as highly autonomous and self-sufficient, they usually look for similar traits in their partners. INTPs crave a lot of unfettered alone time and are rarely happy with partners who seem overly needy, demanding, or controlling. INTPs instinctively rebel in relationships where they feel smothered, stifled, or restrained. At the same time, less developed INTPs may find themselves drawn to individuals who are wounded or needy. This represents a projection of INTPs’ inferior function’s desire to be valued and needed, and typically results in a poor outcome. Lifestyle is another vastly important consideration in relationships. While INTPs can be quite flexible when it comes to living arrangements, they often prefer a partner who can live on less rather than more. Decisions to get married, have children, or purchase an expensive home can create a sense of obligation and diminished freedom that INTPs can come to regret. 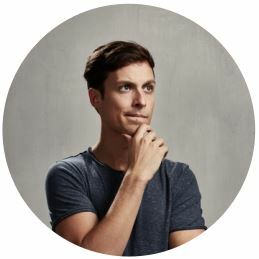 Financial commitments are especially offputting to INTPs who don’t make a lot of money or who are trying to limit time spent at a “day job.” Since many INTPs dream of having more time to pursue their personal interests, they tend to seek partners who are either financially independent or are content with a rather simple lifestyle. In selecting an intimate partner, INTPs should be careful not to imbue their emotions with too much weight or decision-making power. I say this because INTPs’ emotions, whether positive or negative, emerge from their least developed function (Fe). Their inferior Fe makes INTPs prime targets for being unconsciously wooed or manipulated, especially by Myers-Briggs Feeling types. It is therefore important that INTPs not give their Fe the upper-hand in selecting a long-term partner. Despite conventional wisdom that suggests that everyone should just “listen to their feelings,” this is not the best advice for T types, especially T dominants. While having positive feelings toward an individual is certainly important, INTPs are better off using their top two functions (Ti and Ne) to determine the potential merits of a given relationship in light of their personal goals and values, as well as typological compatibility. 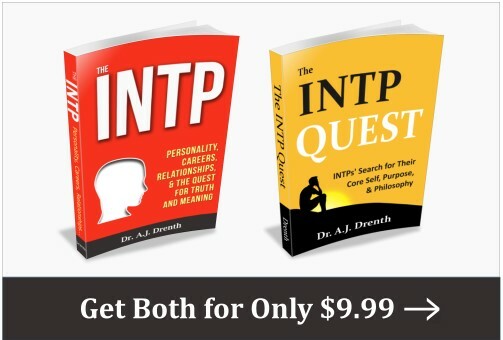 As I discuss at length in my eBook, The INTP, because Extraverted Feeling (Fe) is their inferior function, many of INTPs’ greatest challenges will directly involve their relationships. As I discuss elsewhere, it is common for all types to use various crutches to appease or placate their inferior function. INTPs may crutch their Fe, including their fear of being alone or unloved, by persisting in mediocre or codependent relationships. Since INTPs are prone to doubting whether true love exists, many continue in tepid relationships, feeling themselves without the strength or courage to leave and start over. So instead of leaving or working on the relationship, they focus their attention on their Ti pursuits, allowing the relationship to function as a mere background crutch for their Fe. Because of the inferior position of their Fe, INTPs also run the risk of devaluing their partners and relationships. When in Ti mode, their Fe feelings can recede far into the background of their consciousness. This can allow doubts about the relationship to emerge, such as thinking they are self-sufficient and unneeding of the relationship. INTPs are also prone to compartmentalizing their work (T) and relationships (F). They may formulate inner Ti “rules,” which may or may not be communicated to their partner, about how much time should be devoted to each. In many cases, their work is granted greater priority, leading them to neglect their relationships if their work quota has not been met. Since they themselves are inner rule-makers, INTPs are prone to assuming that their partners harbor certain expectations of them (i.e., “Husbands and fathers are supposed to…”). Moreover, because INTPs’ inferior desires to maintain external harmony and avoid hurting their partner’s feelings, they may fail to adequately question their partner to see if such suspicions are valid. When INTPs fail to voice their relational concerns, they may inwardly, even if unwittingly, begin to wall themselves off or inwardly rebel against their partners. Rather than expressing themselves directly, they may turn to passive-aggressive forms of expression. So unless INTPs are careful to ensure open and honest communication in their relationships, they can end up crippling themselves and their relationships through their own assumptions and imaginings about their partners. Because of difficulties associated with their inferior, perceived or actual shortcomings in their partner, as well as the open-ended and novelty-seeking nature of their Ne, INTPs can also be prone to infidelity. This propensity can be greatly reduced, however, if INTPs can find satisfaction in their work, choose their lifestyle carefully, select a suitable partner according to the criteria outlined earlier, regularly remind themselves of why they are in the relationship and why they chose their partner, and are committed to personal and relational growth and development. Like INFPs, INTPs tend to be conflict-avoidant, especially in their romantic relationships. They are prone to mistaking relational harmony for relational health. While harmony can certainly be a part of a healthy relationship, it really has little to do with genuine intimacy or effective communication. Developing genuine intimacy is often quite painful and difficult, requiring confrontations with one’s own and one’s partner’s fears, insecurities, and ego issues. When couples are working through these issues, moments of disharmony are all but inevitable. In working to develop better communication in their relationships, INTPs need to become more aware of when they are acting out of fear, as well as when they are not telling the whole truth to their partner. Toward this end, INTPs can benefit from analyzing their past relationships to see where they failed to be honest or forthright in their communication. When INTPs experience negative emotions, it is often a response to the inferior function feeling threatened. INTPs may feel like their partners are finding fault with them or seeing their expressions of love as inadequate. As tempting as it may be for INTPs to act on these negative emotions and staunchly defend themselves, this is rarely a wise course of action. INTPs should always check their emotions against their other functions (i.e., see if the emotion is founded on objective reality) before giving them any really weight. To investigate whether the emotion is trustworthy, INTPs should investigate matters with their partner to ensure they have not been making false assumptions. When INTPs really work at understanding their partner and their partner’s type, they can gradually dispel underlying misconceptions that may be bolstering negative feelings. INTPs who successfully integrate their Fe find the courage to express themselves and their convictions in a wise and discerning manner. They become less codependent and passive-aggressive, committing themselves to complete openness and honesty in their relationships. Despite being outer Perceivers, INTPs’ dominant Introverted Thinking (Ti) is a Judging function. So partners should not be fooled by INTPs’ outer whimsicality. INTPs really want to be in control, especially when it comes to how they spend their time. Namely, INTPs want to control the amount of time spent together versus the amount of time spent apart. INTPs are always fighting to secure adequate time and freedom for themselves in their relationships. While partners need not submit to the INTP’s every whim or wish, the fact remains that INTPs will be better mates when granted adequate freedom. INTPs require more freedom than most other types, which inevitably leads to accusations of selfishness from those who don’t understand them. When partners try too hard to control them, INTPs’ behavior may become shifty, passive-aggressive, and generally injurious to the relationship. If, on the other hand, INTPs are given the freedom to love on their own terms, they will respond with thoughtfulness, respect, and commitment. This is the paradox of being pairing with INTPs. The more you avoid the temptation to reign them in or to make them feel guilty for being “selfish,” the more they will love and commit to you. With that said, there is still the danger that INTPs may devalue their partners if they have not been careful to take the steps I mentioned earlier. If devaluation occurs, INTPs may fail to fully commit to the relationship, even if graced with sufficient freedom. What is unfortunate for INTPs’ partners is they may have little awareness that this is happening. They may have difficulty discerning the INTP’s true thoughts about the relationship. 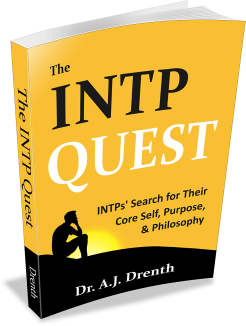 The INTP may be adapting outwardly, while inwardly distancing himself from his partner. This points to the importance of instituting a policy of complete openness and honesty from the relationship’s inception. When openness and honesty are set as the highest priorities, as opposed to things like always preserving harmony or trying to make the other person feel good, then the relationship has a much better chance of growing and flourishing. Feeling types (especially FJs) partnering with INTPs may struggle with INTPs’ relative dearth of emotional expressiveness. This is especially true in emotionally-charged situations when the INTP’s words and expressions seem mechanical and lifeless. While this can seem odd or unsettling to their partner, it is understandable when one considers the inferior position of the INTP’s Fe. The fact is there are times when INTPs have difficulty shifting out of T or N mode in order to express themselves via their Fe. INTPs also tend to feel more comfortable expressing themselves through action rather than words, since their Sensing function (which can be broadly conceived as representing physical action) comes prior to Fe in their functional stack. As mentioned earlier, INTPs often prefer a rather simple or bohemian lifestyle. Since they don’t have Extraverted Sensing (Se) in their functional stack, they are generally less concerned with aesthetics or material comforts than other types might be. While INTPs might like the idea of making a good income, it is less important to them than following their interests. For those partnering with an INTP, this can translate to a financial rollercoaster ride. Those looking for a partner to provide financial stability and security may wish to pair with another personality type. This is not to say that INTPs don’t have the potential to make a consistently solid income, but only that it is far from a guarantee. Our last topic of interest is that of children. Most INTPs aren’t naturally “kid people.” They are inwardly serious and focused on investigative interests. My guess is that most INTPs (especially INTP males) who end up with children do so largely out acquiescence to their spouse rather than from their own genuine desire. As parents, INTPs are generally good at modeling patience, temperance, and self-discipline. They tend to be more permissive than authoritarian, being intentional about not compromising the child’s freedom, uniqueness, or expressiveness. In other words, they treat their children like they want to be treated. While not natural playmates, INTPs can enjoy limited periods of engagement with children. They often feel torn between pursuing their own interests and participating in “family time.” In many cases, the INTP’s spouse may feel he does not give adequately in this regard and may attempt to guilt or persuade him into doing more. This can open the door to relational problems, as the INTP begins to feel his freedom is being compromised. He may feel he is being treated like a child, which may incite rebellious or unhealthy reactions. Some of the above may be unsettling to those considering or currently paired with an INTP. The thought of being devalued, for instance, can invoke fear and anxiety. But the truth is that INTPs’ struggle with their inferior function is no worse than the struggles of other types with theirs. The primary difference is that INTPs’ inferior issues carry direct implications for their relationships. The struggles of other types might be more personal (which will naturally, even if indirectly, impact the relationship), whereas INTPs’ issues, because of their Fe inferior, are often interpersonal. INTPs have the potential to be great partners. Their love for learning, new challenges, and personal growth can help succeed in their relationships and to integrate their Fe. The key question is whether they have the courage to face their fears and spend time seriously exploring the foreign land of their inferior function.